As Christians, we’re not ordinary people; we’re never to be victims in life. If you’ve found yourself in a predicament, a precarious or desperate situation, be comforted; you have what it takes to win, irrespective of the adversity. There’s something in you: the life and dynamic power of the Spirit to effect changes. The word “power” actually means “dunamis” (Greek), and it means dynamic power or ability to cause or effect a change. It refers to miracle-working ability; power and ability that’s beyond yourself! It’s a “doing-power,” and it’s sometimes translated, “might.” It also means the power of excellence; the extraordinary ability to be efficient and effective in all that you do. This is the life we have in Christ—a life of super-productivity and ever-increasing glory by the Holy Ghost! Therefore, if you’re struggling in your life; if it seems you’re putting in so much effort and recording incommensurate success, the chances are that you’re neither conscious nor taking advantage of the power of the Spirit within you. Paul said, “I can do all things through the ability of Christ in me”; the prophet Micah affirmed, “…truly I am full of power by the spirit of the Lord…” (Micah 3:8). Become conscious, and take advantage of the power of the Spirit within you. Through that power, you can do the unthinkable, the unimaginable, and the impossible: “Now unto him that is able to do exceeding abundantly above all that we ask or think, according to the power that worketh in us” (Ephesians 3:20). This is Christianity; it’s a life of dominion. You don’t need to go from place to place looking for help and seeking power; all the power you need is in you through the Holy Ghost. Put it to work. Romans 15:18-19 ; For I will not dare to speak of any of those things which Christ hath not wrought by me, to make the Gentiles obedient, by word and deed,  Through mighty signs and wonders, by the power of the Spirit of God; so that from Jerusalem, and round about unto Illyricum, I have fully preached the gospel of Christ. Acts 6:8 ; And Stephen, full of faith and power, did great wonders and miracles among the people. Luke 4:14 ; And Jesus returned in the power of the Spirit into Galilee: and there went out a fame of him through all the region round about. "Go to the ant, thou sluggard; consider her ways, and be wise" (Proverbs 6:6). Now the word 'sluggard' actually means a habitually lazy fellow, be it at home, school or office. The result of this is poverty, poor academic performance and failure in life. Just a little sleep, some wandering about, and then, procrastination: "I will study it tomorrow." What is needed here is action. Hear William Ward, "Study while others are sleeping; work while others are loafing; prepare while others are playing and dream while others are wishing." Arise from your sleep, and be busy with your books. The sluggard is invited to learn from the ants which are active, hardworking, determined, and cooperating creatures. They are focused and work tirelessly to achieve set goals. Ants do not have dull moments. They network and are alert yet they have no guide, teacher or instructor to make things work. As self-starters, they are wise to prepare ahead. How about your forthcoming tests or school project? Do you read the 'Search the Scriptures' lesson in preparation for the Sunday school? Do your best in everything, pray and God will see you through. Do not allow dull moments in your life; be active. "Every good and perfect gift is from above, coming down from the Father of the heavenly lights, who does not change like shifting shadows." But those words, “God helps those who help themselves” are nowhere to be found in Scripture. Instead, God’s Word teaches us to depend on Him for our daily needs. Jesus tells us, “Look at the birds of the air; they do not sow or reap or store away in barns, and yet your heavenly Father feeds them. Are you not much more valuable than they? Can any one of you by worrying add a single hour to your life?” (Matthew 6:26–27). Everything we enjoy—even the strength to earn a living and “help ourselves”—are gifts from a heavenly Father who loves us and values us beyond our ability to fathom. As Mom neared the end of her life, Alzheimer’s disease robbed her of her creative mind and memories, but her trust in God remained. She lived in our home for a season, where I was given a “front-row seat” to observe God’s provision for her needs in unexpected ways—ways that helped me see she had been right all along. Instead of worrying, she entrusted herself to the One who promised to take care of her. And He showed Himself faithful. Loving Lord, please help me to trust You to take care of me today, tomorrow, and forever! Don’t worry about tomorrow—God is already there. The teaching of Jesus in Matthew 6:25–34 emphasizes the fatherly care of God for those who follow Jesus, making worry about the basic things of life unnecessary. The main idea in the word translated “worry” is “distracting or anxious care.” In Luke 10:41, Jesus said Martha was “worried and upset about many things.” Paul wrote in Philippians 4:6, “Do not be anxious about anything.” Six times the word worry appears in Matthew 6:25–34. For those who call God “Father,” worry is unreasonable (vv. 25–30), uncharacteristic (vv. 30–32), unproductive (v. 33), and unprofitable (v. 34). What might you be doing or not doing that indicates a lack of trust in God as our faithful heavenly Father? The true nature of a man is known when he occupies an important position of authority. This is why several factors must be considered before appointment into any leadership position that demands responsibilities in the house of God. From the text, Korah, Dathan and Abiram led a rebellious group against the leadership of Moses and Aaron. Korah persuaded 250 other important leaders to join him. He was not satisfied with his duties of helping the priests to look after the most sacred objects in God’s tent (Numbers 4:115). He went to Moses on a wrong premise that Moses and Aaron were not more important or holier than any other Israelite. He was not mindful of the fact God had given special authority to Moses and Aaron. He was jealous of the power and authority they had over the people. He also wanted this type of power. This was the ultimate reason behind his rebellion. We should be careful not to allow presumption and contention overcome our reasons of wanting to hold a particular position, either in the church of God or in the society. We should not presume to know more than others or leaders set over us. We should work more for the faith that was once delivered onto the saints than contend for position as it happened to Lucifer. Believers should always be on their guard to quickly notice any contentious spirit trying to grip over their souls. They should be satisfied with whatever position God put them in the church or in the society, pray and wait for His promotion at its right time, and they will never regret. Avoid carnal consideration they are deadly. “Though thy beginning was small, yet thy latter end should greatly increase.” Job‬ ‭8:7‬ ‭KJV. When you were born you did not bring any money or material into this world;even if your parents have secured all these before your arrival.You came naked. The day you were conceived,some couples tried also but it never resulted in pregnancy. Your pregnancy came to term and you were delivered safely,not aborted nor miscarried. You grew up and survived all childhood sicknesses and illnesses ,you did not die in infancy nor got wiped away in your tender age. God has been very faithful to you,from your small beginning ,He has greatly increased you. He deserves all the praise and glory. 2.Esther,an orphaned slave girl,was divinely chosen as the Queen in Persia(Esther 2:17). 3.Jabez: Named as "Sorrow" by the mother,became more Honourable than his brethren(1 Chronicles 4:910). 1.Release everything about you to God. 2.Be faithful in little,greater glory coming. 3.Let God showcase you, don't play "smart". 4.Stand and act on the Word of God. 5.Be grateful all the time and praise Him. 1.Father,thank You for my yesterday,and for my today and my tomorrow yet to come. 2.Father,at each step on the way up,teach me to be humble and be a blessing to others. 3.Father,as You bless me,let me show others the way as well in Jesus name. And run not before Him, whatever betide. Thou soon shalt be fitted for service above. 1. Lord, destroy any seed of rebellion against God chosen fathers and mothers in the faith that may be within me. 2. Lord, purify my heart from every virus of carnal ambition, comparisons and murmurings. 3. Give me grace to be faithful to my calling. 4. Give us in the Church an environment where every one is at his best in the service of the Lord. 5.Father Lord, what a joy it is to know that I can place my confidence in You! 6.Father Lord No matter what I am going through and no matter what I am facing, You will be my help in Jesus name. Amen. 1. You must not be ignorant of the grace of God that has brought you salvation and blessings immeasurable. 2. You must not be ignorant of the fact that you carry the life of God in you. 3. You must not be ignorant of the fact that God has endowed you with wisdom to make you excel in life. 4. 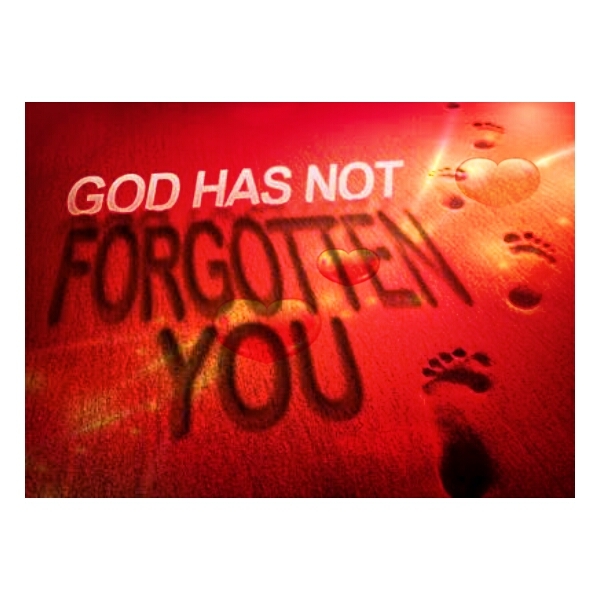 You must not be ignorant that God's power is in you and his presence is with you always. 5. You must not be ignorant of the fact that you are a saint and you are the righteousness of God in Christ Jesus, therefore, righteousness is your nature and you don't take pleasure in sin. God is by your side. Don't be ignorant of the fact that the devil is under your feet and you're sitted with Christ in heavenly places.